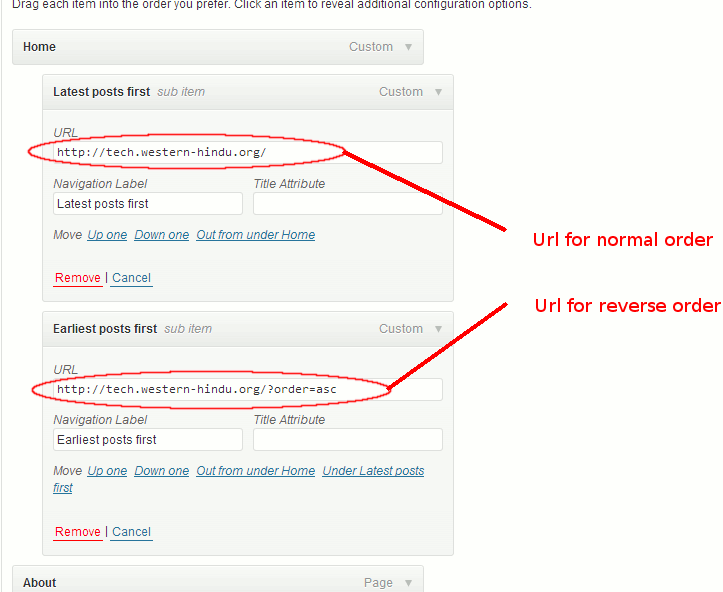 The two custom link entries have URLs displaying the posts in the desired order. You can see them in this blog by hovering over the “about” in the menu. 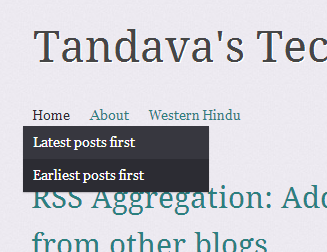 I also entered them in the menu for my Western Hindu blog, but here to emphasise that I prefer it to be read in blog order I named the options “Home Page” and “Home Page – reverse order”. This entry was posted in technical and tagged blogging, journal, menu, posts, reverse order, WordPress.com. Bookmark the permalink.